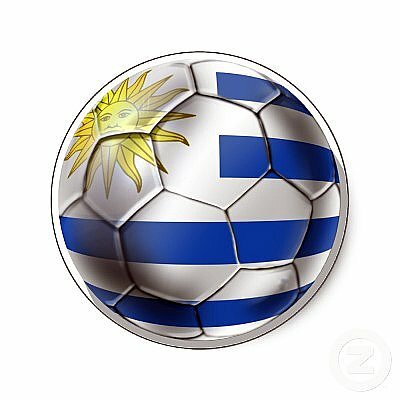 Uruguay World Cup is the first World Cup in the history of soccer/football to be hosted in July, 1930. Uruguay was at the moment the reigning Olympic Champion, which helped with being the choice for hosting the 1930 World Cup over Italy and Spain. During this time only 13 teams would participate in the 1930 Soccer World Cup, with only 4 teams making the trip from Europe due to the long boat ride over the Atlantic. I would also like to mention that the host had also built a brand new stadium that had the capacity of 95,000 fans. Argentina, Brazil, France, Belgium, Uruguay, Paraguay, Chile, United States, Romania, Mexico, Yugoslavia, Bolivia and Peru. France played the very first 1930 World Cup game beating Mexico 4:1 and the Frenchman Lucien Laurent scored the first ever World Cup goal. Argentina and Uruguay were the power teams during the first World Cup topping their table with ease. 1930 World Cup Winner received what is known today as "The Jules Rimet Trophy". The final was played in front of almost 94,000 fans and Uruguay ended up winning the game 4:2 after a very slow start and Argentina dominating the first half.